Geordan Murphy enjoyed a winning start as Leicester's interim head coach with a dramatic 49-33 victory over Newcastle on Saturday. 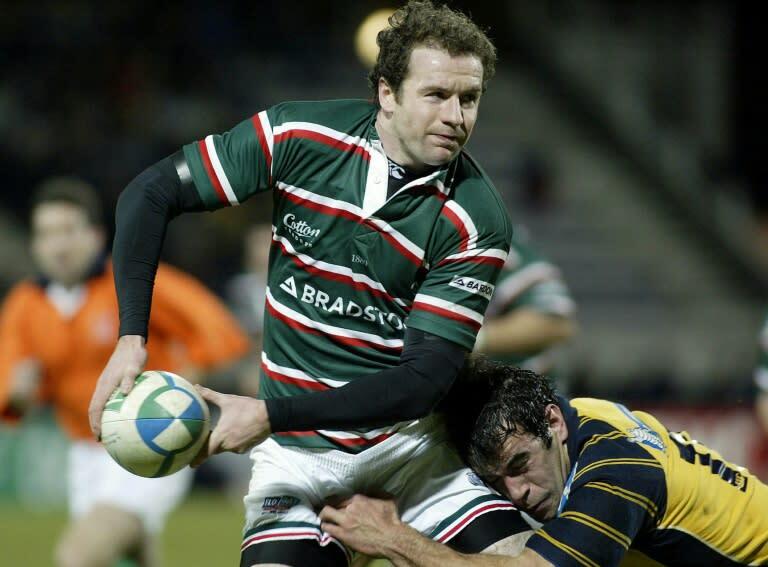 Murphy was thrust into the manager's role after Matt O'Connor was sensationally sacked on Monday following Leicester's 40-6 humiliation against Exeter in their English Premiership opener. Former Ireland full-back Murphy has already made a positive impression on his squad judging by the way they saw off Newcastle in their second Premiership match. The 40-year-old, who made 316 appearances for the Tigers, watched as George Ford starred with 29 points, including a try. Jonny May's double and further tries from Manu Tuilagi and Adam Thompstone wrapped up the scoring spree. "It's been a tough week, and it's bound to be after losing the head coach with an interim coming in tweaking a few things, but the players stood up and led really well," Murphy said. "The support they've given me in a tough week has been world class." Saracens director of rugby Mark McCall was relieved to see Billy Vunipola return from his injury woes in a 44-23 victory over Bristol at Allianz Park. England number eight Vunipola played 36 minutes as a replacement and scored a try to mark his comeback after fracturing an arm against South Africa in June. "It was good to get Billy back and he looked OK. His arm is fixed and he will only get better the more he plays now," said McCall, who also saw Saracens wing Liam Williams score a hat-trick on his return from a groin injury. "Billy hasn't played a lot of rugby over the last 18 months and hopefully he can get some consistent game time." Gloucester's Matt Banahan scored a late try against his former club Bath to earn a 31-31 draw. Danny Cipriani's superb pass set up Banahan's try moments after Elliott Stooke put Bath in front for the first time. Gloucester were cruising when a pair of Ruan Ackermann tries and one from Callum Braley put them 21-0 up. But Bath replied through Semesa Rokoduguni and two Tom Dunn tries to draw level. Exeter director of rugby Ali Hepher saluted Henry Slade after the England centre's two tries inspired a 42-31 win at Wasps. Slade and Sam Simmonds both scored two tries for Chiefs at the Ricoh Arena. Santiago Cordero and Don Armand touched down the others, with Gareth Steenson converting all six. "Since coming back from England's tour, Sladey has had a great attitude and looked busy," Hepher said.